Who wouldn’t want to experience a fairytale-like life even for one night? Italy has provided its tourists the privilege to go through a great stay in the country while touring. Instead of paying hundreds of dollars to stay in a standard hotel, why not upgrade your experience? If you are opting for a longer stay in Italy or you want a layover adventure, a castle visit is a good option. Many people have only experienced visiting a castle and touring its ruins as it is a common activity when exploring places. However, now you have the option to make your dream of sleeping in a castle a reality. Italy transformed some its castles into hotels with deluxe rooms and noble-inspired interior. Now, all you have to do is select a castle and stay there! Here we present some of the best Italian castle hotels to stay in! From the name itself, this castle is found in Ravello, Italy and is constructed above the Amalfi Coast. This palace has been present since the 11th century. By staying in this castle, you will enjoy the coast’s panoramic views. Inside the castle are 532 rooms perfected with picturesque views of the ocean. In case you wanted a private pool, remember to choose the Jackie O. Suite. Included in the hotel are amenities for working out and swimming. This 14th-century castle was restored and became a modern-day hotel. It was the Bevilacqua family’s fortress in the ancient times. Many visitors choose this castle because of its magnificent construction ideal for a romantic honeymoon. Just imagine entering the main gate to be impressed by its pine tree-filled passageway, vine-encase gazebo, and manicured lawns. The castle has seven junior suites. Each of the rooms was perfected with museum-like adornments and kingly furnishings. Included in the chamber are bathrooms with tubs, flat-screen televisions, and wireless internet connection. If you want to hold functions or conferences, the castle also has various function rooms to choose from. 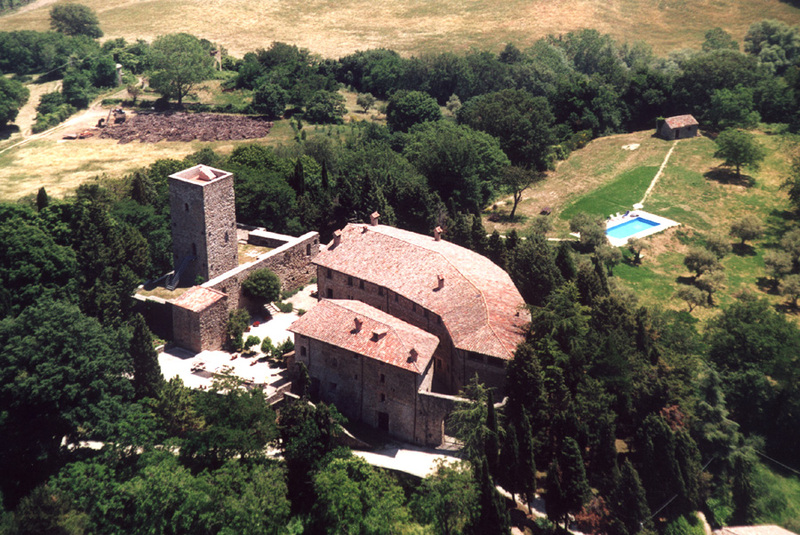 This castle is found in the central region of Chianti, particularly between Siena and Arezzo. This castle has a 12th-century construction with private and all-encompassing park providing you with a view of the Valdambra. While staying in this castle, you get the benefits of scouring through medieval villages, vineyards, and olive groves. You even get to visit Assisi, Perugia, Florence, and Orvieto by staying in the hotel. This castle also gives you quick access to Brunello wines which are among the most popular beverages in the world. 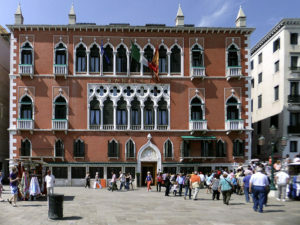 This palace that is located in Venice was built in the 14th century and is situated along the San Marco Canal. This became a favorite Italian getaway hotel and even celebrities have been attracted to its Murano glass chandeliers, painted ceilings, and silk-covered interior. Living like royalty is made accessible by the palace which houses 233 rooms for its visitors. This castle was built in the 13th century and until today, it keeps its old construction. If you are planning for a getaway with your friends or partner, this is an excellent choice for a hotel. From the palace, you can enjoy an Umbrian countryside view, good restaurants, and various spots for strolling. It is designed with an outdoor pool, terrace, grounds, a rooftop walkway, and gardens. 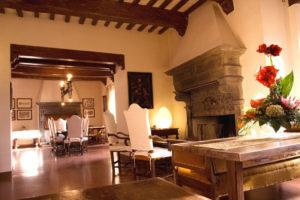 This castle-turned-hotel can be found in Gaiole village particularly in the Chianti area. A few minutes of driving already brings you to Greve, Radda, Castelnuovo Berardenga, Panzano, and Castellina. Woods and vineyards surround the castle and you also get to enjoy a 1000 AD-old view of a fortified monastery. The hotel offers an outdoor swimming pool, wellness center, Turkish bath, wine, indoor pool, and oil therapy treatments. You can locate this castle in Trentino-Alto Adige. It is built in the center of Merano and now features 30 rooms. Apart from staying in the castle, tourists visit the area for hiking and therapeutic baths. This castle which was built in 1110 AD, provides you the luxury of royalty stay, health treatments, diets, beauty sessions, and massages among others. This is a 13th-century bastioned castle that is now privately owned. You can find it in Val di Chiana which is a beautiful village. The castle offers vacation apartments and rooms with breakfast service included. It was speculated that it has been present since 1150 AD. Apart from rooms, you get the perks of having a restaurant, outdoor pool, conference center, and garden nearby. Aside from Castello di Monterone, this is another castle that will give you a view of the rich Umbrian history. It was constructed in the 11th century and restored only in the 1980s. There are 13 rooms, a gourmet restaurant, and a seasonal pool in the castle. Given the facts above, you will not have any difficulty when it comes to where to stay in Italy. Your experience can even be more fulfilling with these castles giving you the perks of learning more about the rich background of Italian kingdoms and noble families.